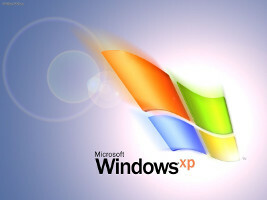 You may or may not know that Microsoft has ended support for the Windows XP operating system as of April 8, 2014. This means Microsoft will no longer support the OS with updates or security patches, etc. While this doesn’t mean you have to stop using it, you should take some precautions as to HOW you use it. Since there will be no more security patches, you should stop using XP on the Internet. No doubt hackers will still be targeting the OS and its browsers to try to infect or take advantage of the lack of support and security. Therefore, unless there are compelling reasons NOT to upgrade to at least Windows 7 (such as specific software which will not properly run in the Windows 7 XP compatibility mode – which should be very few packages – or hardware that isn’t supported on the newer OS’), I recommend you upgrade. Perhaps jump right to Windows 8, depending upon your software needs. But at any rate, shut off and uninstall any software that uses the Internet, or block Internet access to/from your XP machine(s). This will help prevent possible future malware and infections. And while you’re at it, now is a good time to back up your data. Burn some CDs/DVDs of all your pictures, critical documents, etc. I know backing up and upgrading isn’t the most favorite past-time of most computer users. Sometimes older hardware is no longer supported, such as my older USB webcam, which is now relegated to the hardware recycle bin. And often a new OS brings with it the need to upgrade other software, as well. That’s why I’m here to help. There are very good alternatives to Microsoft software, however. Some packages are even free, such as Open Office, a decent replacement for Microsoft Office. There are even systems that can use your older hardware for the foreseeable future. (check out my post about LTSP) Upgrading doesn’t have to be a chore. And as always, if you need help, contact me here!